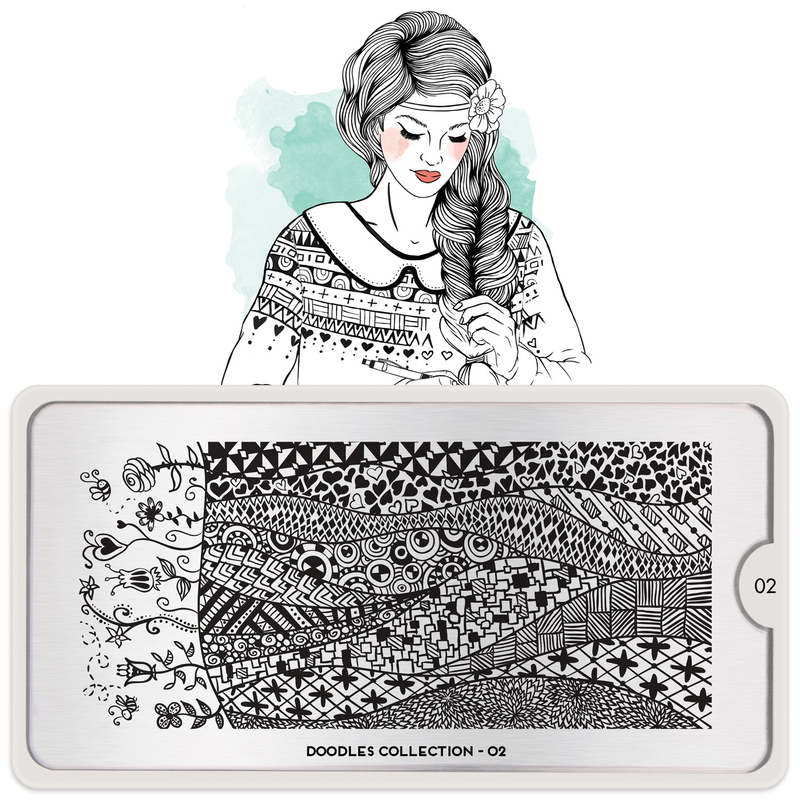 Press Release: Introducing the MoYou London Doodles Collection! I'm really excited about this Press Release! 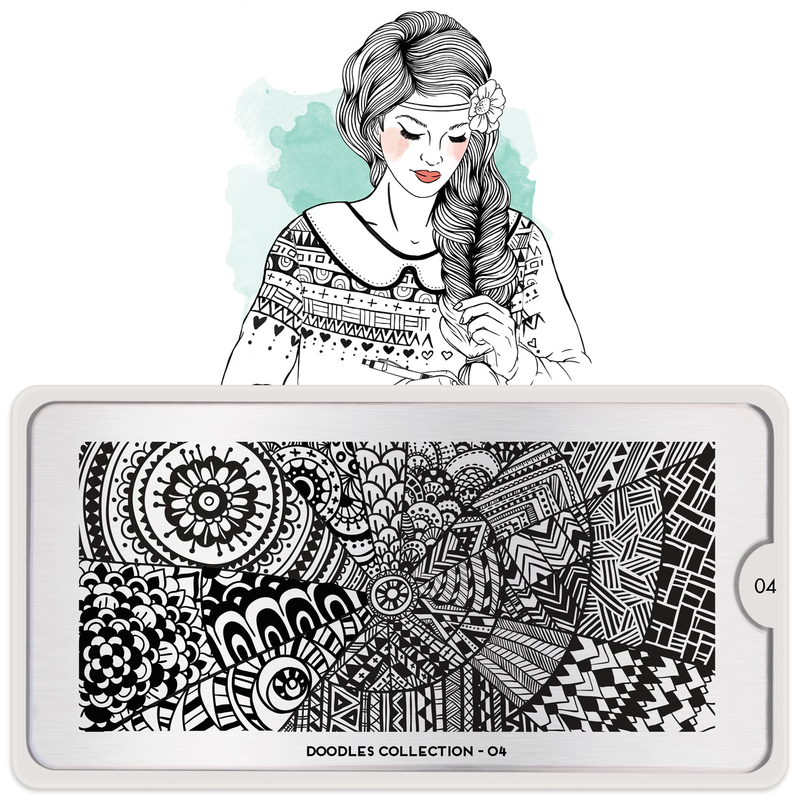 MoYou London is launching a new collection this Friday and the theme is doodles! When it landed in my inbox I got so excited you can't even imagine. You know all those lines and swirls and patterns you used to doodle on your notebook? 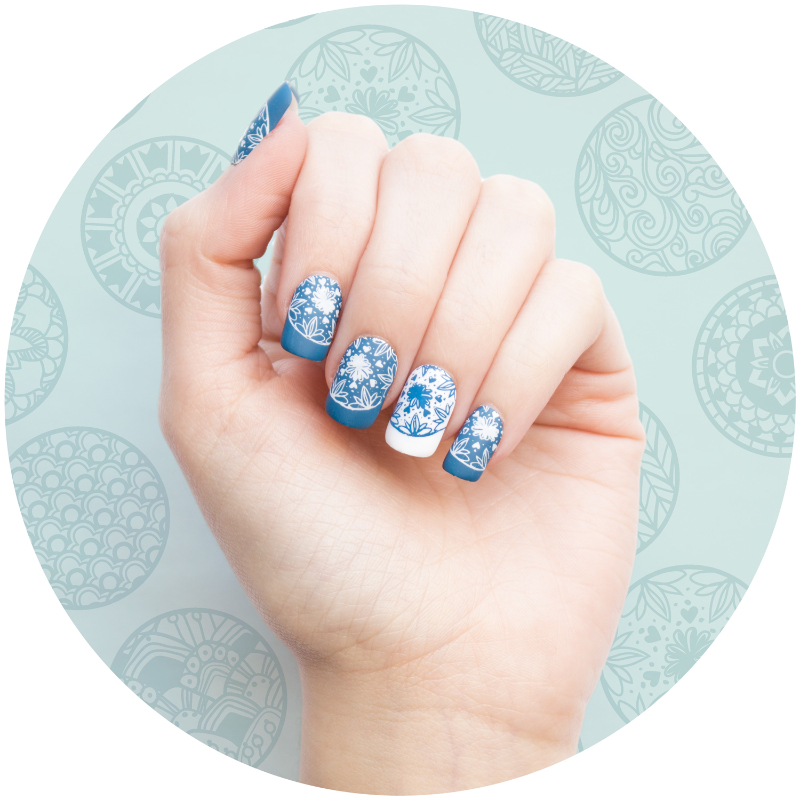 Well now you can stamp them on your nails! :) There are so many perfect leadlight-appropriate designs in this release, check them out below and let me know which is your fav! 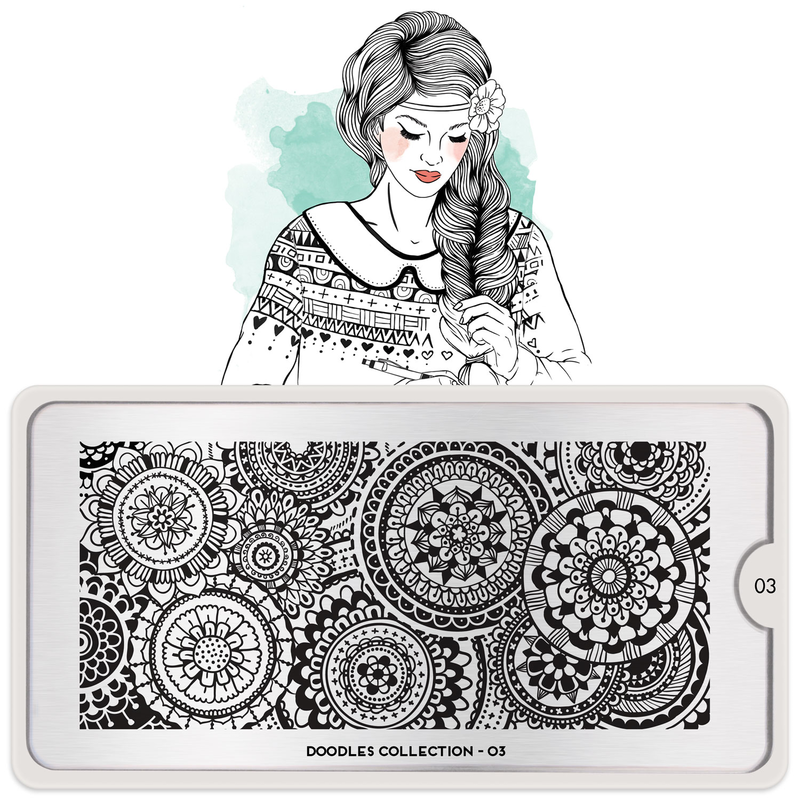 Meet Daria and The Doodles Collection. This daydreaming artist scribbles through the day to keep boredom at bay. 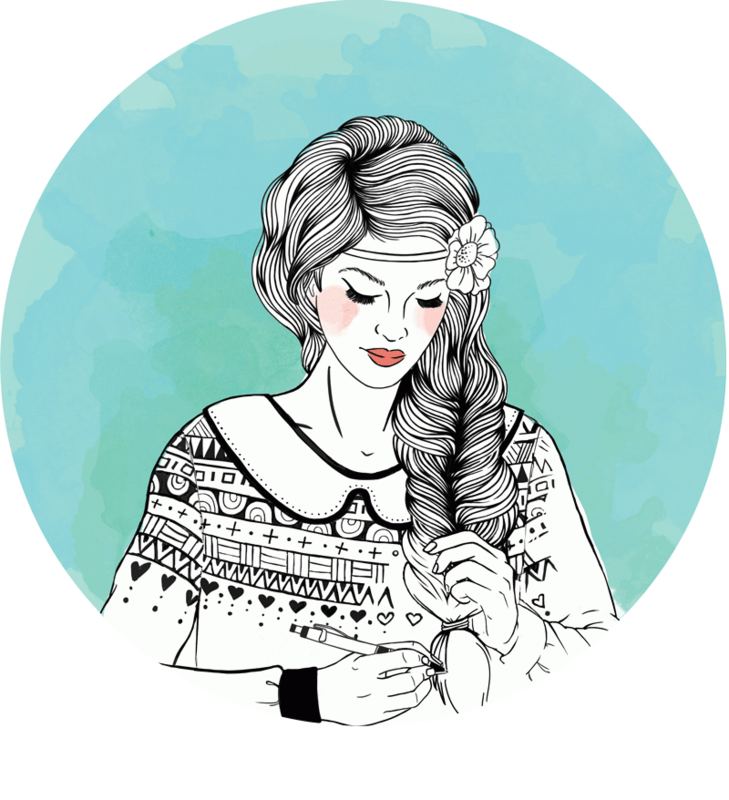 She’s not afraid to draw outside of the lines and her playful patterns are simply works of art. 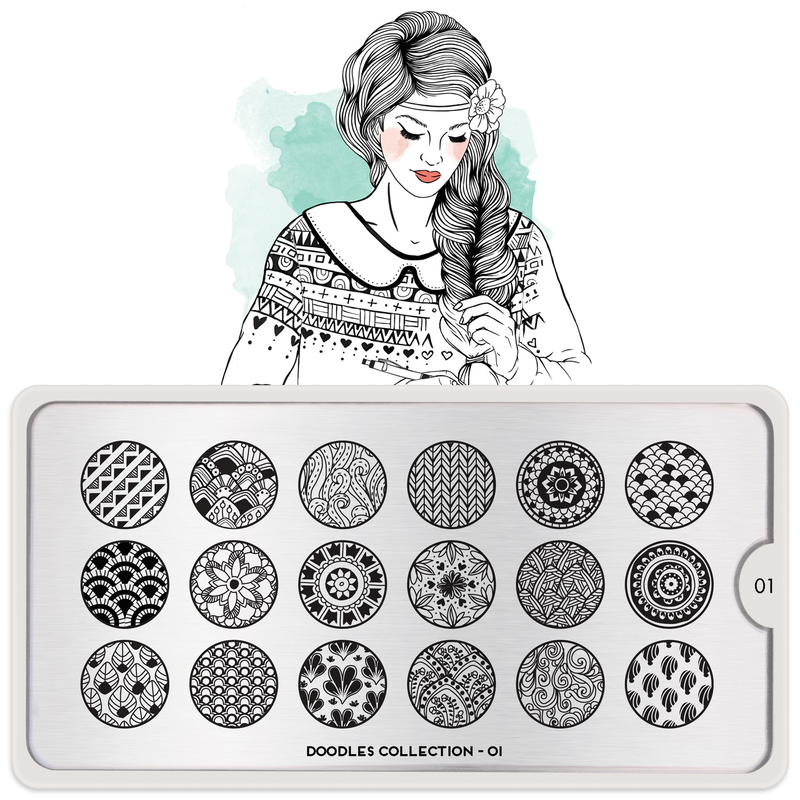 Are you ready for her oodles of doodles? Daria’s picture-perfect plates launch this Friday, 20th March!